Looking for mortgage advice? We can help! Give us a call today at 773-755-9200. Ready to begin? Apply Online Now. Lots of buyers can easily qualify for a mortgage loan, but they don't have a lot of money to pay the standard down payment. Want to look into getting a new home, but don't know how you should get together a down payment? Tighten your belt and save. Scrutinize your budget to discover extra money to save for your down payment. You could also try enrolling in an automatic savings plan at your bank to automatically have a specific amount from your take-home pay transferred into savings. Some effective strategies to build up funds include moving into less expensive housing, and skipping a year's vacation. Work a second job and sell items you don't need. Try to find an additional job. This can be exhausting, but the temporary trial can help you get your down payment. Additionally, you can make a comprehensive inventory of things you can sell. Unused gold jewelry can bring a good price from local jewelry stores. A closet full of small items might add up to a nice sum at a garage or tag sale. You could also research what your investments will bring if sold. Borrow from retirement funds. Research the details for your particular plan. You may borrow money from a 401(k) for you down payment or withdraw from an Individual Retirement Account. Make sure you comprehend the tax consequences, your obligation for repayment, and penalties for withdrawing early. Ask for a gift from family. Many homebuyers are sometimes fortunate enough to receive help with their down payment assistance from thoughtful family members who are able to help get them in their own home. Your family members may be pleased to help you reach the milestone of buying your first home. Learn about housing finance agencies.  Special mortgage loan programs are extended to homebuyers in specific circumstances, such as low income homebuyers or people looking to improve homes in a particular part of town, among others. Working with this kind of agency, you can be given an interest rate that is below market, down payment help and other incentives. These kinds of agencies can help eligible buyers with a reduced rate of interest, help with your down payment, and offer other assistance. These non-profit agencies to build up home ownership in certain places.  The Federal Housing Administration (FHA), a part of the U.S. Department of Housing and Urban Development (HUD), plays a significant role in aiding low and moderate-income families get mortgages. An office of the U.S. Department of Housing and Urban Development(HUD), FHA (Federal Housing Administration) helps individuals get FHA provides mortgage insurance to the private lenders, enabling buyers who will not be eligible for a typical mortgage, to obtain a mortgage. Down payment amounts for FHA loans are lower than those of conventional mortgage loans, even though these loans hold average interest rates. Closing costs might be included in the mortgage, and the down payment might be as low as 3 percent of the purchase price. With a guarantee from the Department of Veterans Affairs, a VA loan is offered to veterans and service people. This particular loan does not require a down payment, has reduced closing costs, and provides the advantage of a competitive interest rate. Even though the VA does not issue the mortgages, it does certify eligibility to qualify for a VA loan. You can fund your down payment with a second mortgage that closes along with the first. Usually the piggyback loan takes care of 10 percent of the purchase amount, while the first mortgage finances 80 percent. The borrower pays the remaining 10%, rather than having to pull together the typical 20% down payment. In a "carry back" agreement, the seller agrees to loan you a piece of his home equity to help you get your down payment money. The buyer finances most of the purchase price through a traditional mortgage program and finances the remaining funds with the seller. Generally, this form of second mortgage has higher interest. The feeling of accomplishment will be the same, no matter which approach you use to come up with the down payment. Your new home will be worth it! Need to talk about the best options for down payments? Give us a call at 773-755-9200.